This is issue #114 of the Dogwaffler of the Moment, a sporadic, artsy newsletter for and about users of Project Dogwaffle. Happy New Year - Are you Ready for 2016? Be sure to bookmark us in your browser for easy access. As the year comes to an end, we prepare for the new release of v10, coming in a few short weeks. As mentioned in the prior issue of our newsletter, We're getting now very close to releasing PD Howler 10. We're still offering a discount for pre-ordering it, with best discount for upgrading from v9.6. After the release we'll continue to offer a discount, albeit a slightly lesser one. So if you want to save on your upgrade or purchase, be sure to pre-order it. If you don't feel you're ready yet for v10, but perhaps wish to get into painting with PD Artist, or painting and animating with PD Howler 9.6, check them for current promotions too. At around 2 minutes and 10 seconds into the video, you see a scene in which a farmer hops on a tractor and drives forward to the left. 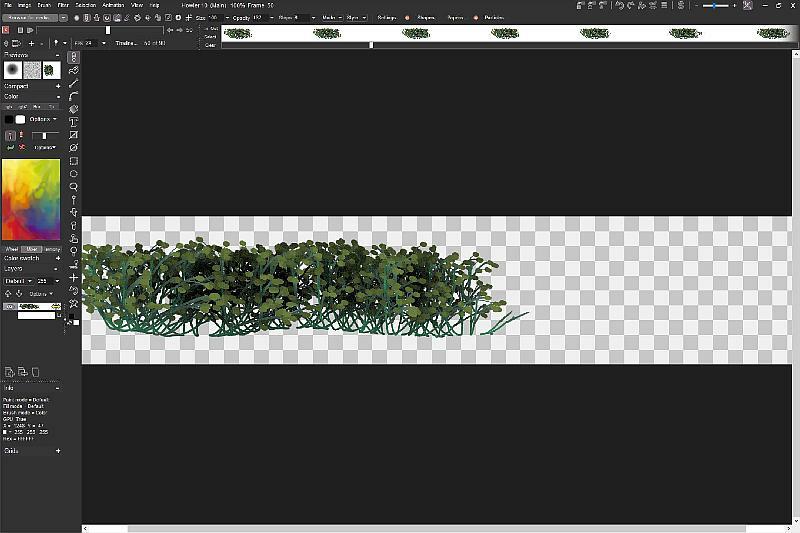 A bush of foliage is following in from the right, which was created in PD Howler. 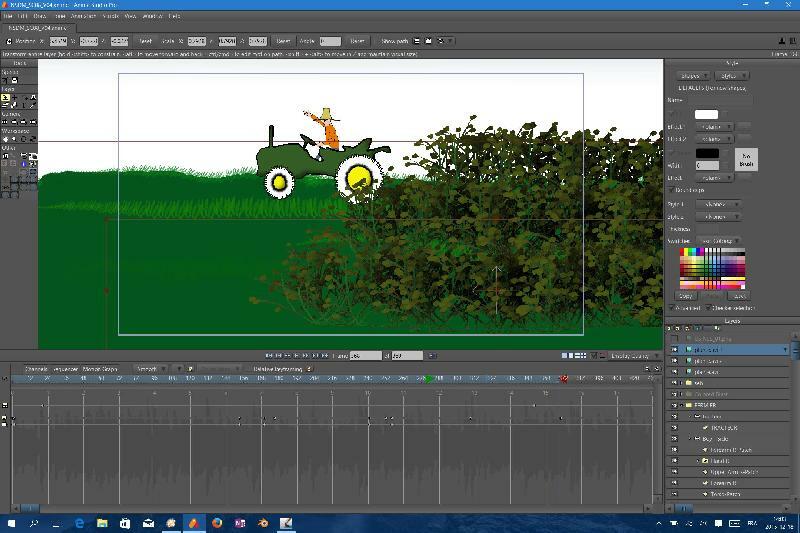 Here is a screenshot that shows the making of the foliage in PD Howler. The image below shows it being used in Anime Studio. This shows a few animations done with Pupy Ray in which the sky is also animated, not just the coloration on the ground. The color animation on the ground is coming from a stored animation that's selected to be the animated swap image. The elevation map can independently be static or animated too. Furthermore, in v10, the sky can also be an animation of its own. 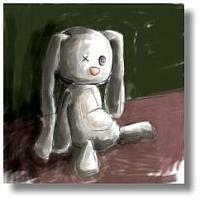 In this case we used the same as the stored animation showing in the swap image. This reinforces the perception of correlated animations above and below. The looping wavelets that you see at the very beginning were animated in Howler too. Sometimes, you'll be working on a clip in which a few frames should be reversed, but not the whole clip. This shows some techniques to reverse the order of just a subset of the frames in a video sequence. We create a sphere, we emboss some text onto it, and render it in a 3D animation and composite it against another animation of space clouds. New landscapes modeled in 3D Designer, and a finishing touch with snow fall. Thanks for waffling and howling! And a Happy New Year!